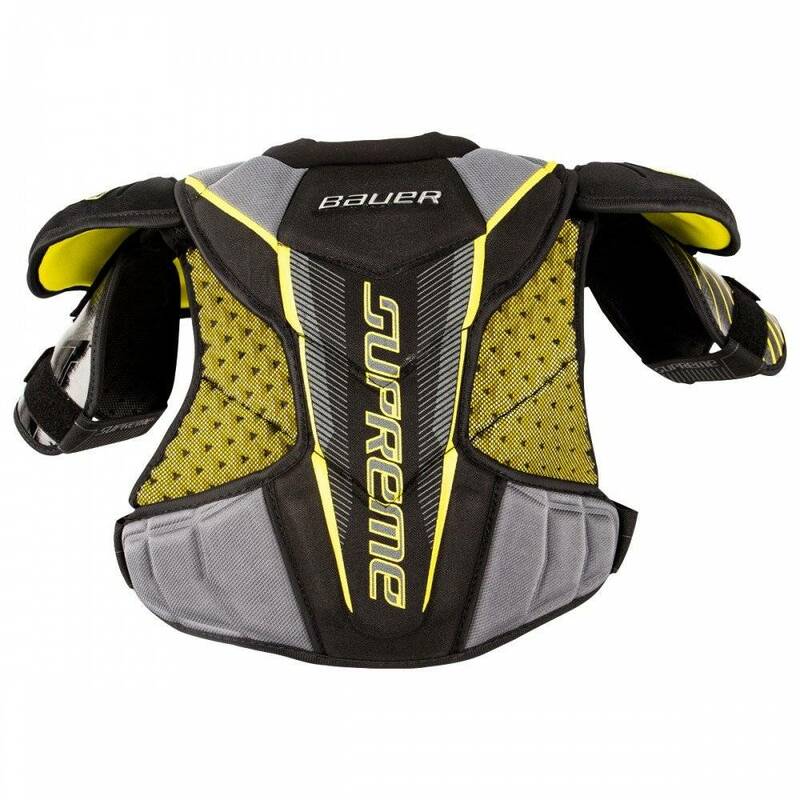 Following up on the past success of the MX3 protective line, the Bauer Supreme 1S shoulder pads have arrived and come with significant improvements for elite level players. The introduction of Powerlite technology and Curv composite to high impact areas has helped Bauer take light-weight protection to new heights. This has been done without moving away from what Bauer Supreme wearers have come to know and love, a snug anatomical fit with Bauer’s patented Free Flex to maximize performance while protecting the player no matter where their game takes them. 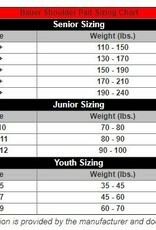 The shoulder cap is where the 1S shoulder pads have seen the most significant improvements. Powerlite, which is a lightweight moldable foam that contours to a player’s body to give them a close-to-the-body fit has been added to the 1S shoulder cap along with Curv composite. 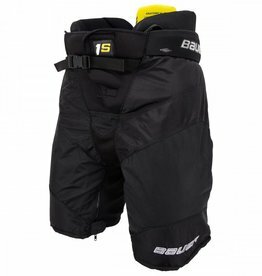 This combination will give you the feeling of wearing nothing at all while also providing superb protection no matter how hard you get crunched into the boards. Curv composite has been added to other areas throughout the shoulder pad including the sternum and adjustable one-piece bicep guard to boost protection. 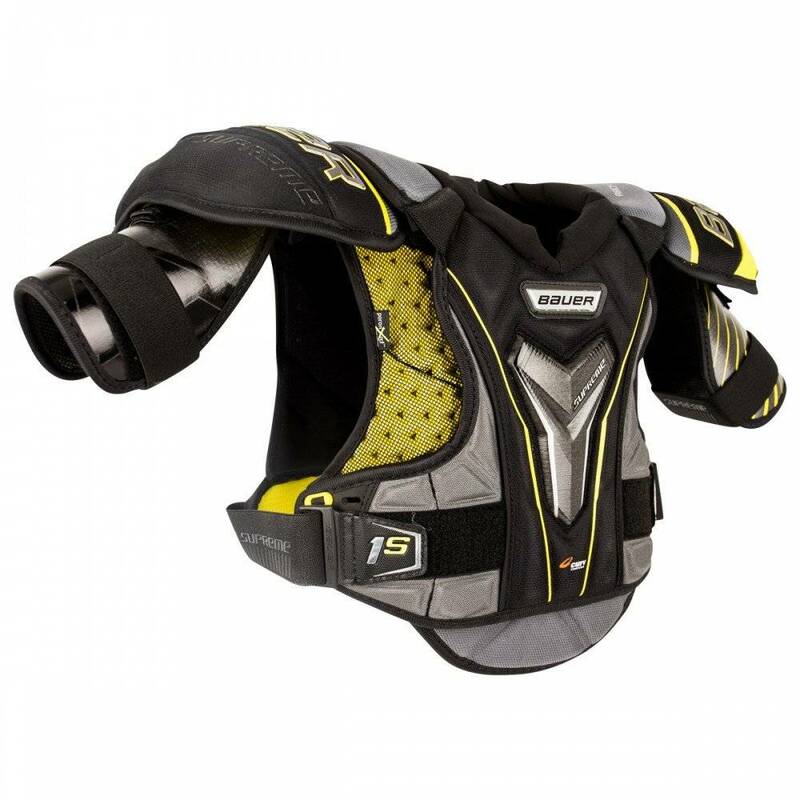 Sternum protection also includes fleXorb technology which is Bauer’s top energy absorption foam by combining their G-Form and XRD materials. Integrating the MX3’s molded Vent Armor foam into the front and back side panels of the 1S is an extra bonus to give players exceptional breath ability versus traditional foams and material. 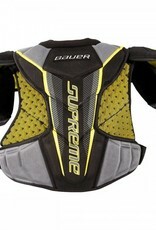 HD Foam with PE inserts covers spinal protection and a fully removable belly pad with MD foam is included to further the customization available with the 1S Supreme shoulder pad. 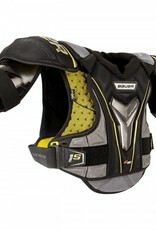 Bauer’s 37.5 liner that has been treated with Sanitized has been incorporated into the shoulder pad to keep you dry and prevent the Supreme 1S shoulder pads from stinking up the rest of your gear.